Let me start by saying, I love crepes and pancakes of all kinds, of all shapes and sizes, and of all sorts of varieties. They can be sweet or savory, it wouldn't matter, I find absolute comfort as soon as the pan rotates and the batter swirls quickly around to morph into its almost perfect geometrical identity.There's the sweet sizzle and array of tiny of circular craters that arise on the surface of this land that is waiting to be decimated by ravenous appetite. There is comfort in the magic of the crepe (pancake). Chinese scallion pancakes are delicious and coincidentally one of my not-so-secret favorite things to make in the kitchen. I could eat stacks and call it a day. 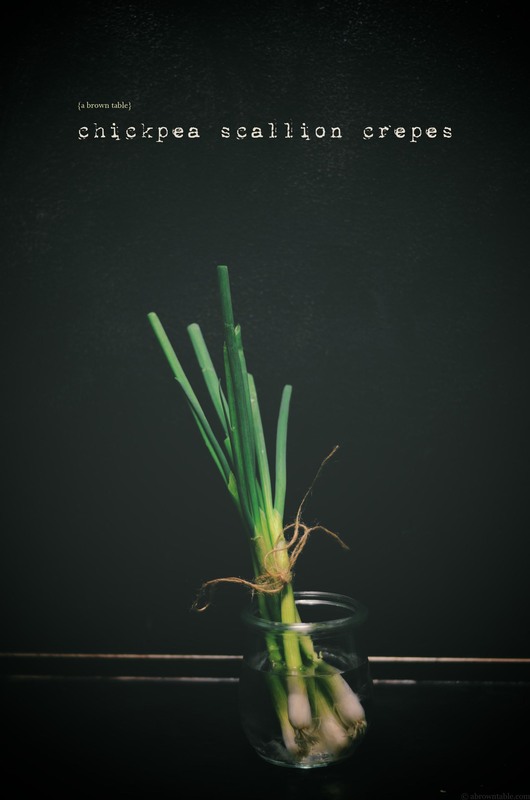 Fresh scallions are delicious anyway and make everything better with their bright bang of flavor and color. I like to eat the white and green parts of the scallion. Chickpea flour is something that I grew up with, you can't escape it if you grow up in an Indian household. It's there and occupies a special place from food to beauty treatments, it's a daily staple. My mom made chickpea crepes for breakfast, my father was a big fan because that is something he grew up eating and we'd eat them often. I've combined two of my favorite crepe/pancake recipes into one. 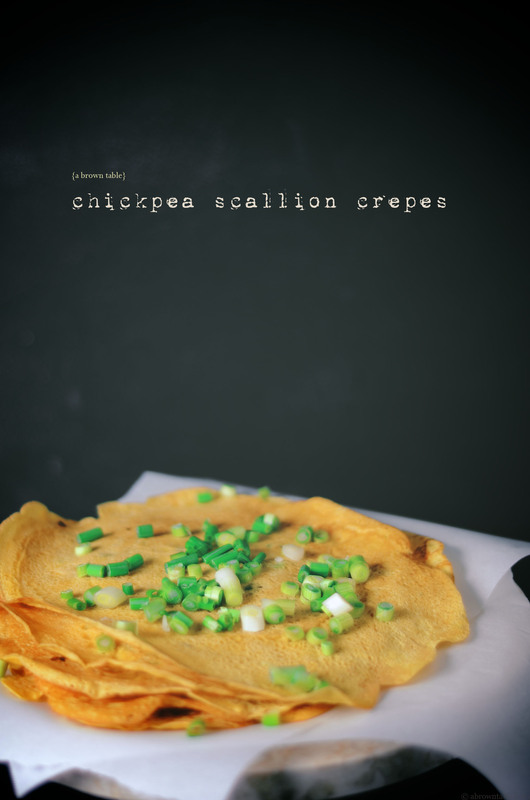 Chickpea flour crepes with red chili flakes for heat and fresh scallions. You can serve them with any sort of sauce on the side, ketchup or soy sauce, etc. 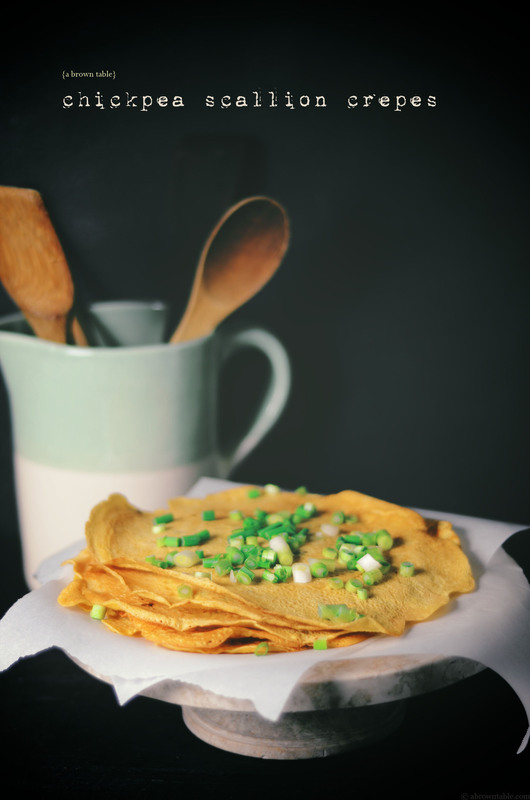 Make these you will love them and they are guilt free because chickpea flour is a naturally rich in protein and good amino acids. 1. 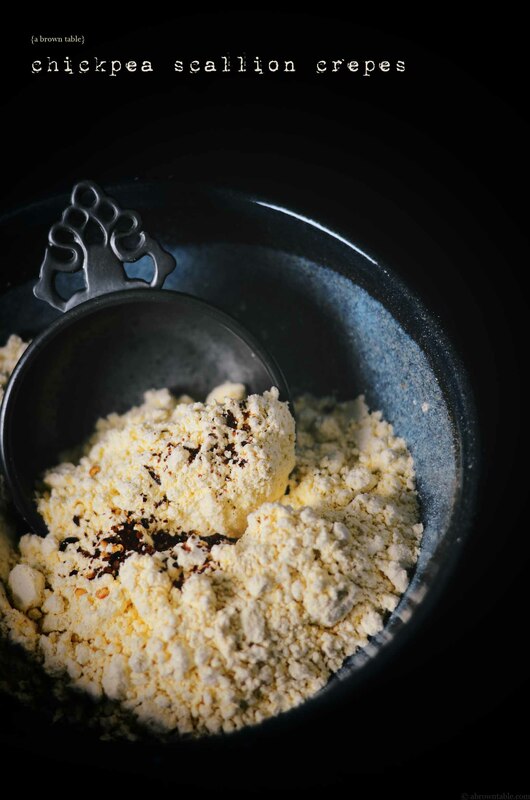 Place the flour, salt and chili flakes in a large mixing bowl. Whisk the dry ingredients together to mix evenly. Pour the water into the dry ingredients and whisk until no specks of the chickpea flour can be seen and the batter is smooth. You can taste the batter to make sure the salt is enough and adjust accordingly. 2. Remove any dead and damaged leaves from the scallions and trim the white and green ends. Slice the white and green ends of the scallions. Reserve 1 tablespoon for the garnish and mix the rest of the scallions into the batter. 3. Heat a cast iron skillet or non stick pan on a medium high flame. Spray the pan with oil. 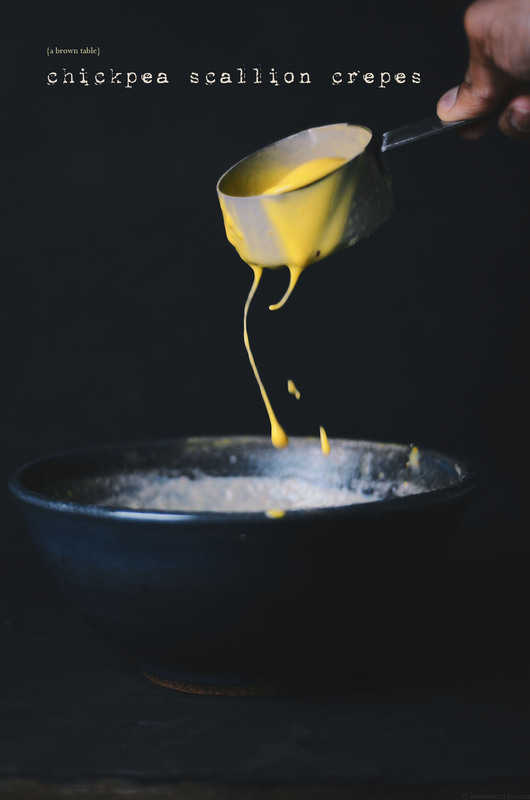 When the oil is hot, pour half cup of the batter into the center of the pan and carefully, rotate the pan so that the batter spreads out to form a circle. The crepe will begin to form immediately and it does not have to be a perfect circle. Cook the crepe until the edges begin to come away from the pan, flip the crepe with a silicone spatula and cook on the other side for 40-45 seconds. Transfer the crepe to a serving dish. Prepare the rest of the crepes similarly and arrange in a stack. Serve garnished with the extra reserved sliced scallions. 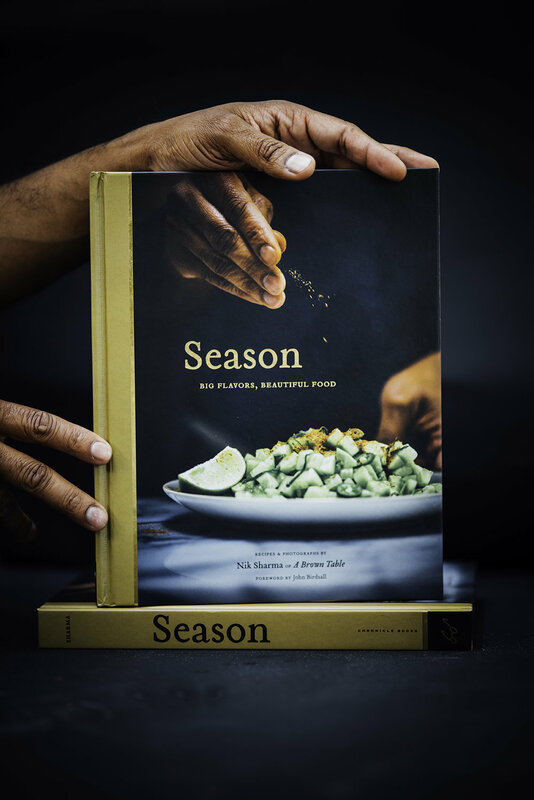 In "Asian", "Besan", "Chickpea flour", "Crepes", "Indian", "Scallion", "gluten free", "pancakes"